located by the scenic harbour area in the heart of the Icelandic capital. Red Bull Music Academy returns to Sónar Reykjavik for the fourth consecutive year, showcasing a hand-picked selection of trailblazing talent, many of them alumni of previous Academy editions. Like in previous years, RBMA will host its own stage, SonarComplex, with a mixture of local and international talent. UK bass figurehead Kode9 will bring his new Diggin' in The Carts video game-inspired AV show, with visuals from legendary Japanese animator Kōji Morimoto. Joining them will be dance music deconstructivist and Warp prodigy Lorenzo Senni; Philadelphia-based artist/activist Moor Mother; South London’s vocal experimenter Klein; cellist, composer and vocal performer Hildur Guðnadóttir and Tri Angle’s sensual explorer serpentwithfeet. Elsewhere in Harpa, we welcome Resident Advisor who will take over SonarLab in their debut partnership with Sónar Reykjavik. A carpark by day, during Sónar the minimalist space is transformed into a dark and atmospheric stage, deep beneath the festival main rooms. Traditionally the festival’s stronghold for heads-down, no frills sets, the basement is a natural home for Resident Advisor and will play host to Cassy b2b Yamaho; Denis Sulta; Jlin; Lena Willikens; Volruptus; Eva808; Intr0beatz; Yagya and more. Joining Danny Brown, Bjarki, Nadia Rose, Jlin, Lena Willikens and many more. More international and local talent will be announced in the coming weeks, completing a program that will consist of some fifty artists, bands & DJs. Sónar Reykjavik is spread across four stages: SonarClub, SonarHall, the seated SonarComplex auditorium and the underground SonarLab carpark. Tickets for Sónar Reykjavik 2018 are available here. 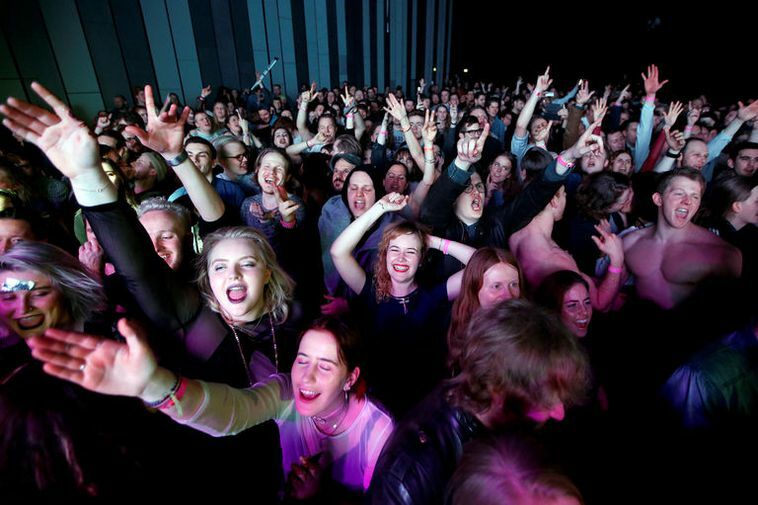 The past three editions of Sónar Reykjavik have been fully sold out.